Baku City Tour Hop-On Hop-Off in Baku City Tour buy tickets online. Delivery of tickets for the event Baku City Tour Hop-On Hop-Off. 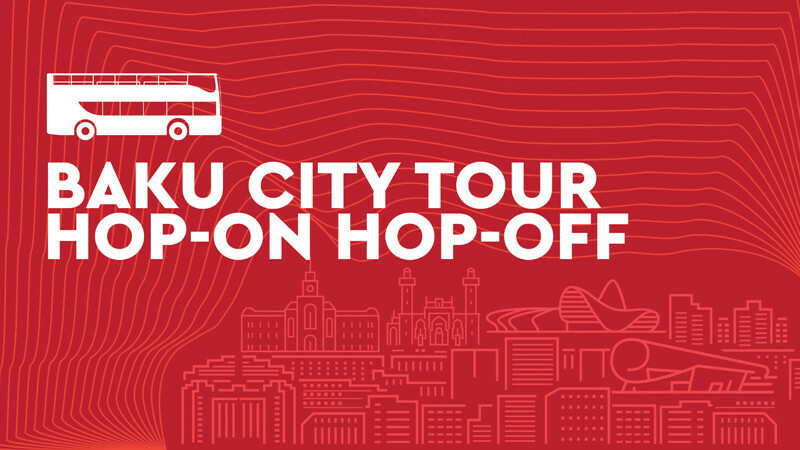 City Tour’s hop-on hop-off bus offers a fast, convenient way to visit all of the city’s top attractions with a single ticket during the day. A key feature is the audio-guide available in 8 languages: -Azerbaijani, Russian, English, German, French, Persian, Italian and Japanese. Tickets include earphones for the audio-guide, a city map displaying the buses’ route and plenty of additional information about Baku’s attractions. At each stop, the bus will stand for two- or three-minutes giving time to snap a quick photo or two. Or you may hop off to get a fuller impression of the area and its attractions, hopping back on again when the next bus comes along, an hour later. Note: The bus may arrive 5 (five) minutes early or late due to traffic flow on the roads. Note: If there weren’t be any available seats in a first bus, the second bus will be sent to the route.